Calvin Klein EUPHORIA INTENSE is sweet, dark and a compliment magnet, woman love it. There is just something inviting and seductive about this fragrance. 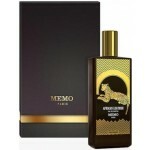 The bottle is similar to the shape of the previous edition of Euphoria, although it has a modern, more elegant design in the colors of amber. As you become better acquainted with it, you will discover more depth and nuances in this beautiful fragrance.